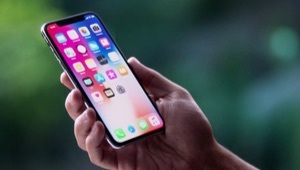 How to delete a playlist on iPhone? 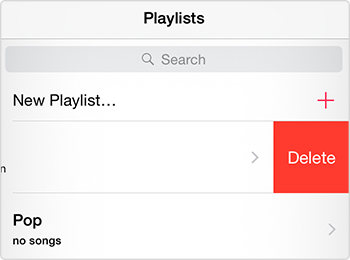 In this guide, you can find several ways to delete your iPhone playlists. 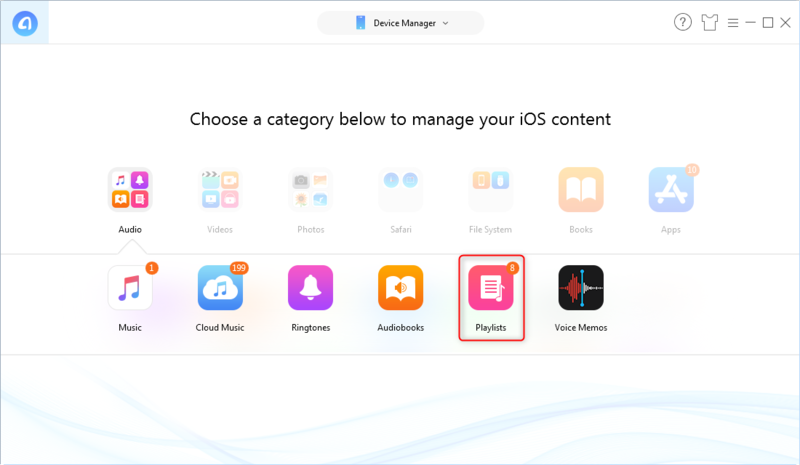 Get this amazing iOS manage tool installed on your computer after reading this post on how to delete playlists on iPhone. 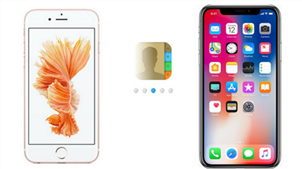 Apple’s iPhone 8 and iPhone X will hit the store in soon, have you prepared well for the new round of iPhone to iPhone Upgrade? If not yet, you can take a minute to read our comprehensive and detailed guide to make a smooth upgrade. The Playlist on iPhone is the best way to enjoy music from a certain artist or type. Generally speaking, you can directly delete playlists from iPhone, and it is actually a relatively simple process. However, sometimes, you may get stuck in the same situation as the above user asks. That’s why an alternative way to delete iPhone playlist is needed. 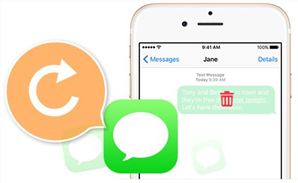 So in this post, you can get two methods to delete playlist on iPhone. 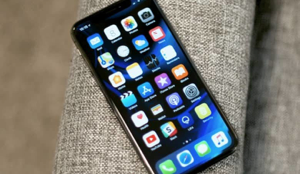 Step 1On the homepage of your iPhone, tap the Music icon. Step 2 Select the Playlists tab at the bottom of the screen. Step 3Choose the playlist you want to delete, and swipe from right to left which will bring about a red Delete button. Step 4Click on Delete to remove a playlist from iPhone. If the above method is not working, the second part also helps you out. To better manage playlist, music, ringtones, videos, and more on your iPhone, AnyTrans for iOS is quite needed. 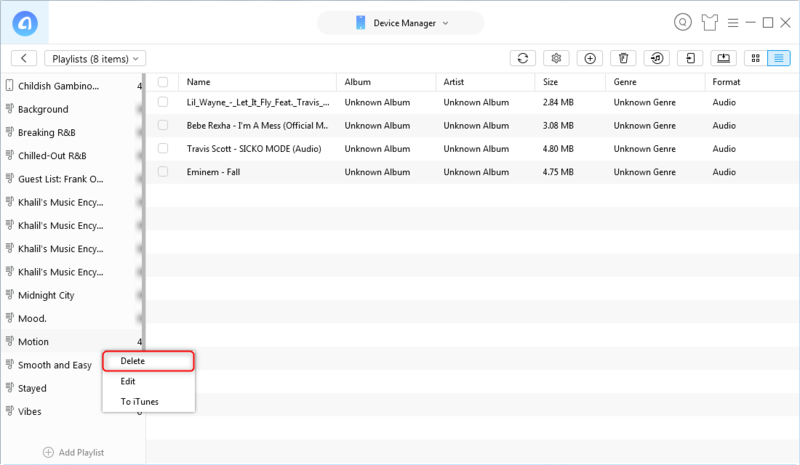 It allows you to add, delete, or transfer playlist to iTunes, computer and another iDevice. If you want to have a better experience on iPhone data management, download AnyTrans to take a tour. Step 1Open AnyTrans for iOS, and connect your iPhone to computer. 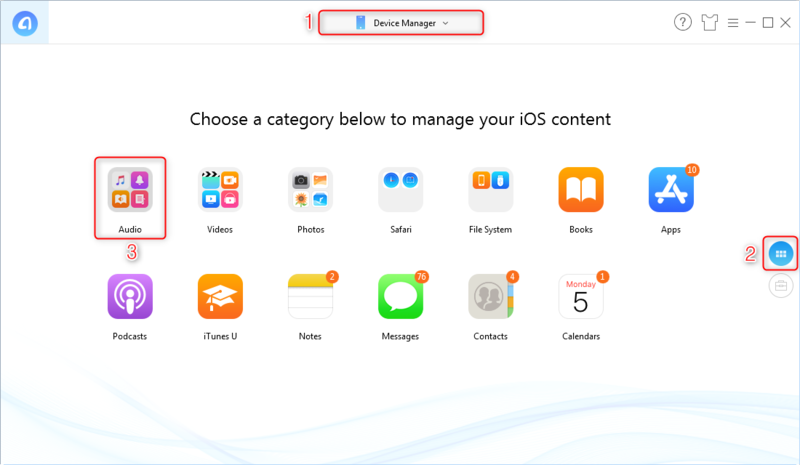 Choose Device Manager in the menu, switch to Category Management. Click on Audio tab. Step 3Select the Playlist you want to delete, right click your mouse and then choose Delete option. Click on OK to confirm. You can also select the songs you want to delete from the playlist, and then click on the trash icon. You can also massively delete songs from iPhone with AnyTrans, please refer to How to Delete songs on iPhone guide. 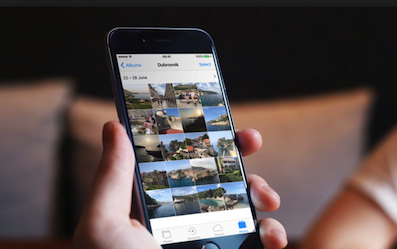 Besides playlists, AnyTrans is also capable of deleting photos, ringtones, videos, and more from your iPhone/iPad quickly. Have a try on AnyTrans now. If you have any questions on this post, you can leave a comment in the sections below.